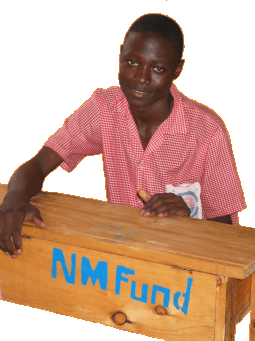 The Northern Magic Fund is making a difference through education. 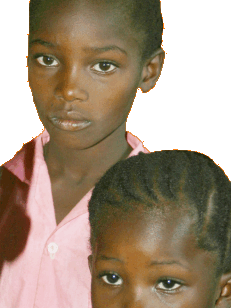 We believe there can not be any permanent change for Africa without education. Lutz Tischendorf has been a sponsor of the Northern Magic Fund since 2008. 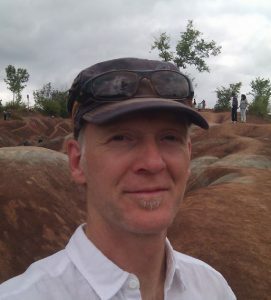 Lutz moved from Germany to Ottawa in 1997 with his family and became aware of the voyage of the Northern Magic through Diane Stuemer’s weekly reports in the Ottawa Citizen. Lutz was always intrigued and inspired by this voyage, but also touched by the poverty the Stuemer family encountered in different parts of the world. 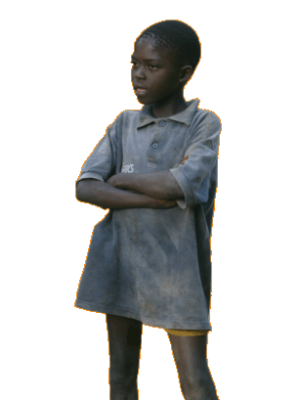 After a sponsorship with World Vision ended in 2009, Lutz was looking for an alternative to help less fortunate kids with a more direct impact and less administrative overhead. Supporting the Northern Magic Fund was the logical consequence. In 2014 Lutz met George Ouma and his newly wed wile Florence on their honeymoon trip to Ottawa. This encounter left a profound impact on Lutz and he decided to become more involved. Lutz joined the Board of Directors in March 2016 and is looking forward to join Herbert at this trip to Kenya this summer. Karla Narraway is a local small business owner who hopes to help the NMF in any way she can. 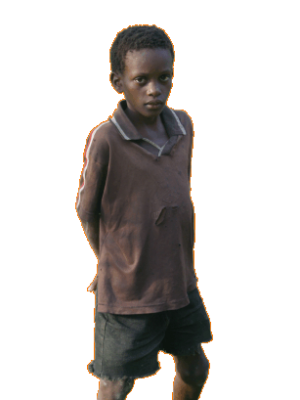 Famine, in this eastern area of Africa, is in the news daily and education is often the first casualty in regions that are stressed for funds generally. Like many Ottawa area people, Karla really enjoyed and connected with the Stuemers’ adventures through the weekly articles provided in the Citizen. Karla has fundraising and event planning expertise (for local community efforts) to offer the Fund and its Board. 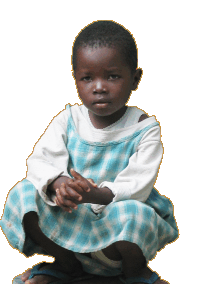 She hopes to contribute by helping to raise the profile of this organization, especially for the 10th anniversary of the charity, and to create more stable ongoing funding for a small charity filling a big need in Eastern Africa. Keltie Donohue joined the Board of Directors of the Northern Magic Fund for International Development in 2010. Keltie followed the Stuemer’s voyage closely through the regular updates published in the Ottawa Citizen and was there in August 2001 at Petrie Island to welcome the family home.Her interest in the Northern Magic Fund developed through her husband’s role as Director and Treasurer of the Fund from 2002 to 2010.Keltie’s commitment to volunteer work goes back a long way. For example, she co-chaired the Terry Fox Elementary School’s Greening Committee in Orleans, served up meals at the Shepherd’s of Good Hope in Ottawa, hosted many families from across Canada as part of the National Capital Commission’s “Celebrate Canada in the Capital” program, and helped to raise funds for KIN Canada and Cystic Fibrosis. Professionally, Keltie heads up an organizational effectiveness team in a federal crown corporation. She has served in a variety of functions including internal audit, finance, and planning and performance management. Keltie holds a degree in mathematics from the University of Waterloo and is a Certified Management Accountant. Diane King is the Secretary with the Northern Magic Fund. Diane is also one of our founding Directors. 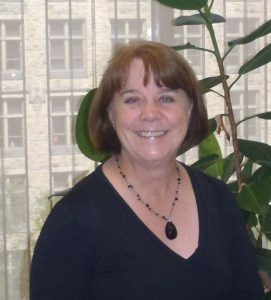 Diane is a facilitator, trainer and consultant with the Intersol Group. She works on projects ranging from change and transition management, team building and development, facilitated learning, strategic planning, facilitating focus groups and meetings, management coaching to designing and developing courseware in collaboration with her clients. Diane visited Kilifi in March, 2008, with her husband. Diane met with Andrew and visited two of the Northern Magic School renovations. She saw first hand the fact that there is so much to do, but felt heartened nonetheless by seeing so many students sitting at desks provided by the Northern Magic Fund! She also met some of the students that we are sponsoring as well as spent some time with George Ouma, our medical student. 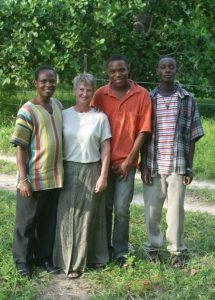 Diane also met Boniface and Hamisi, the two young boys (now men) who were the inspiration for the Fund. (you can read about them in Diane Stuemer’s book, The Adventures of the Northern Magic). 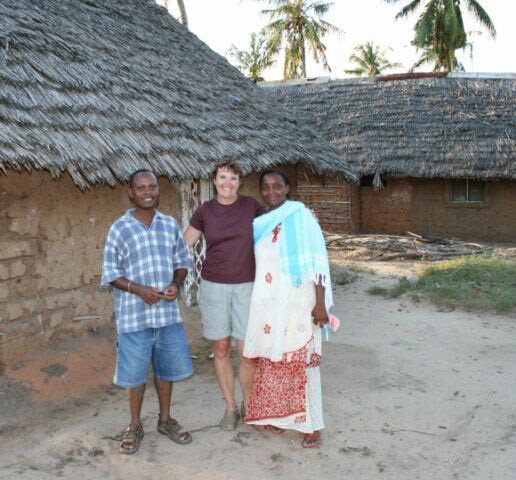 Diane came back from Africa with a true appreciation for the difference the Fund is making in Kilifi. We may not be able to help everyone, and we may only be a small fund, but the difference we are making to the students we are able to help, through the sponsorships and the renovations, is immeasurable. 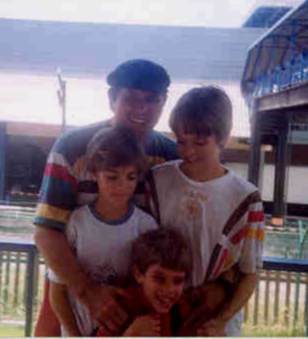 In 1994, Herbert Stuemer was the co-owner of a successful advertising business, living a normal suburban life with his wife and three children. But everything changed after he had a serious accident, and his wife Diane, was diagnosed with malignant melanoma, a potentially fatal skin cancer. Soon the couple embarked on a re-evaluation of their priorities and a search for a way to live life more fully. In 1997 they sold their business, rented out their home, took their three sons, then aged 5, 9 and 11 out of school, and set out on an ambitious four-year plan to navigate around the world by sailboat. Their entire sailing experience at the time consisted of six afternoons of sailing on the Ottawa River on a 23-foot boat. 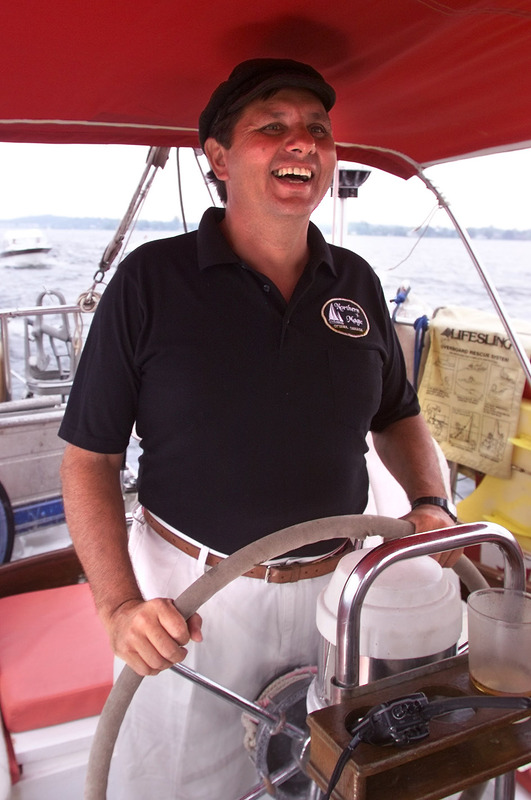 When they departed Ottawa in September of 1997, the Stuemers had never even once sailed Northern Magic, the 42-foot, 39-year-old steel ketch they had purchased and refitted for the world-circling voyage. This is a story of a family who made a decision to live life with passion and let nothing stand in the way of their great dream. As they learned how to sail and cope with life at sea on a cramped and tiny boat, they overcame many obstacles – including two deadly storms in which other boats and lives were lost, a close encounter with waterspout, a lightning strike, an arrest at gunpoint, surgery in Sri Lanka, pirates, the terrorist bombing of an American naval destroyer in Yemen, dysentery in Sudan, and a difficult crossing of the stormy North Atlantic. Yet at the same time they found new closeness as a family and a profound realization about their role in the world. 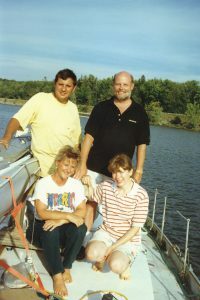 During the voyage, Diane wrote weekly dispatches for the Ottawa Citizen newspaper, generating more response from the public than any series in the paper’s history. When the Stuemers began getting involved with local people – finding a teacher for a small island in the South Pacific, helping volunteer veterinarians care for endangered orangutans in Borneo, and providing school fees for poor African village children – readers from all over North America began to participate as well. By the time the family returned to Ottawa, in August of 2001, more than 3000 people lined the shores of the Ottawa River to welcome them home. Shortly after they returned home from their trip, Diane started the Fund with two other friends, Karen Hooper and Diane King, in 2002. Sadly, Diane passed away in 2003, a recurrence of her melanoma and Herbert stepped in as President. Herbert is passionate about carrying home the message of how ordinary people can achieve great dreams and make a difference in the world. 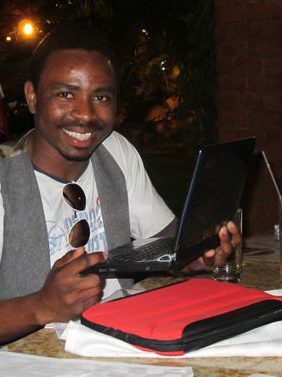 He continues to remain involved and raise funds for their two projects in Indonesia and Kenya.